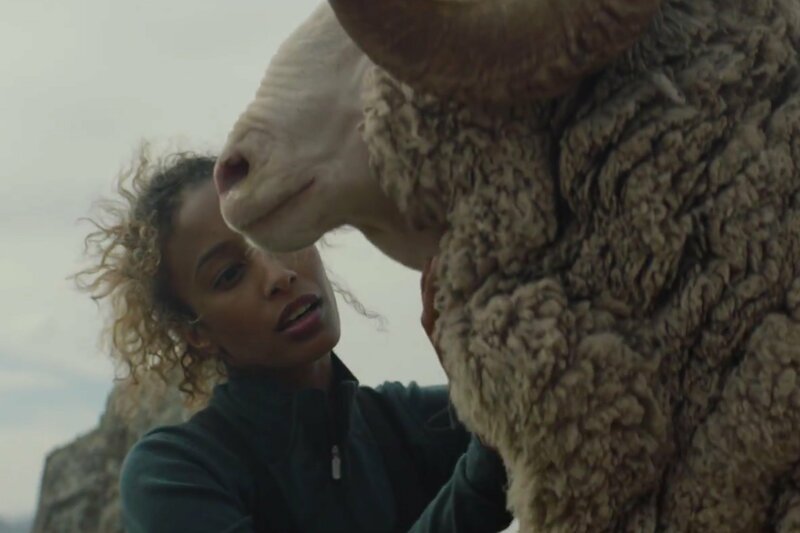 Snail mail gets a digital boost. 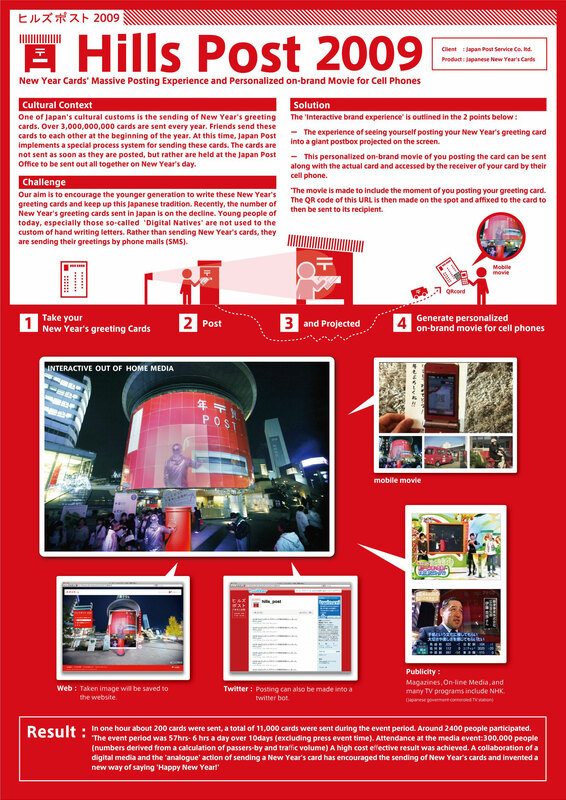 GT Inc an Dentsu conceived this special promotion to draw Japan's younger set to the post office. As tradition goes, Japanese send out New Year's greetings after in the form of special post cards, which the post office delivers in one bunch come January 1st. Recently, however, the country has seen a downward trend in such post card deliveries now that digital natives are more inclined to send the message over SMS. 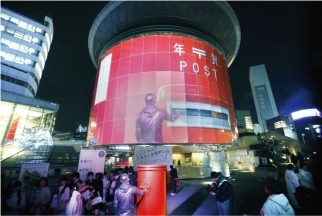 In this New Year's campaign, the agencies set up a special postal box next to a Jumbotron in the middle of Tokyo, onto which a film of their dropoff would be displayed. Senders could then go online to check out the film and pass it on to friends.